Visit a dealer website below to learn more about the great products we sell. 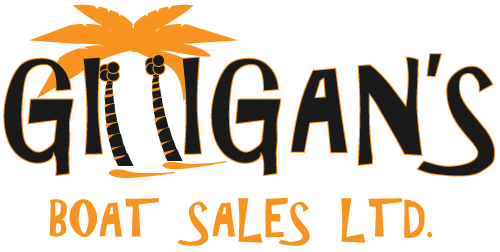 At Gilligan's Boat Sales, we pride ourselves in being your one stop shop for everything marine. As the first MB Sports Boat Dealer in Canada, we offer nothing but the best quality products, performance, experience, and customer service. We carry New, Used, and Consignment Boats. Whatever the market you are in; we have you covered. Our friendly and knowledgeable staff is always happy to answer any questions you might have, whether it's regarding sales, service, or financing. We're located just a short drive north of Calgary in the city of Airdrie, Alberta. Please feel free to come out to visit us at our 10,000 sq. foot indoor heated showrooms. Thanks for your interest in Gilligan's Boat Sales. We look forward to serving you in the future! Best Boat Dealership hands down. The boats are top quality. The staff are all Amazing! We will be life ling customers. Anyone looking for a boat should check them out. Just a quick note of thanks to all the folks at Gilligan's. When we decided to upgrade our existing boat we spent a lot of time checking out dealers and were very happy to find your store. Everyone we talked to was knowledgeable and very comfortable to deal with. Ultimately it was the quality and price of your boats that made the decision for us. We are very happy with our new addition and thank you all for your patience and commitment to getting the right boat for us. Highly recommend this dealership. They make buying a boat such a pleasure. Just wanted to thank you for the great service! It was very quick and awesome. Thanks for the help and I look forward to using your dealership for everything going forward! In these busy times, it's easy to forget to say thanks for a job well done. Thank you to Nick (and all involved) for taking on a different project.The forward/reverse cable operates better than it did when I purchased the boat 7 years ago (finger touch control!!). Again, thank you to Gilligan's Boat Sales Ltd.